ONLY £30 TAX! 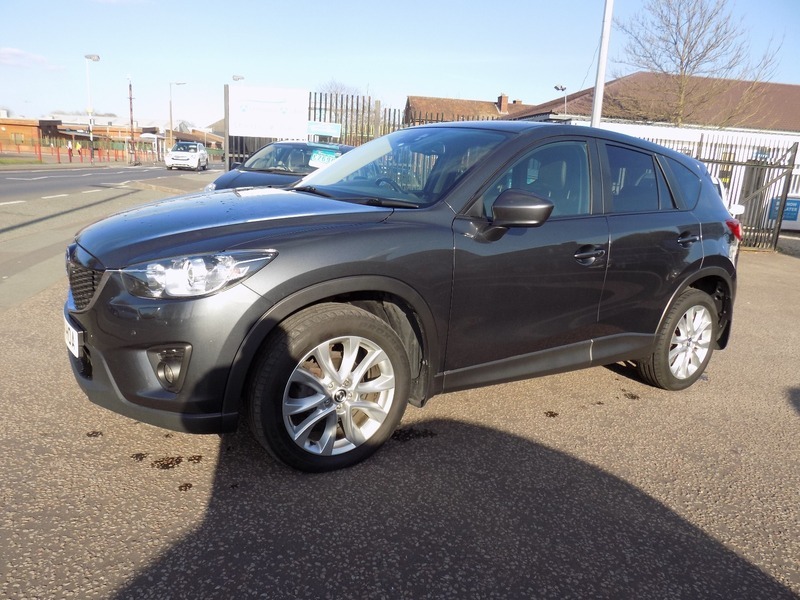 *** MAZDA CX-5 SPORT 2.2d *** FULL SERVICE HISTORY *** TOP SPEC CAR *** FULL LEATHER *** COLOUR SAT NAV *** CLIMATE CONTROL ***BLUETOOTH *** REVERSE PARK CAMERA AND FRONT AND REAR SENSORS *** ELECTRIC SEATS WITH MEMORY *** HEATED SEATS *** BOSE SPEAKERS *** ALLOYS *** ELECTRIC FRONT AND REAR WINDOWS *** KEYLESS ENTRY *** CRUISE CONTROL *** DETACHABLE TOWBAR *** STUNNING CAR *** The car will be serviced before sale and comes with 12 months MOT. It also comes with a comprehensive mechanical warranty and 12 months AA Roadside Assistance. Please call for any further information about this car.